Tired of not being able to find reliable Evanston handyman services and bathroom remodeling? That’s because you haven’t yet given the professional team here at Gary’s Home and Bathroom Remodeling a chance. There is a reason we have earned the impeccable reputation we have – in fact there are a long list of reasons for that. Since 2000 our focus has been on doing whatever it takes to make the customer happy. Our motto is “Quality Service at an Affordable Price.” We have seen too many homeowners who took a risk with a different company and ended up with shoddy workmanship. You don’t want to work with someone who does not have the proper training or experience or who cuts corners to get the job done. Even if you think you will be saving a few dollars, once it is all said and done you usually end up hiring someone else to fix the “professional” job a less than reputable contractor left you with. We will work with you to help you understand the job we intend to do and even assist you in making any important choices you may need to make. Being a locally owned and operated business in this area means taking care of some fine, fine people in the Evanston area. We have worked hard through the years to establish ourselves as the premier choice as a handyman contractor in Evanston. One of the earliest nicknames this area had was “Heavenston” which should give outsiders an idea of what it is like here. Although there is so much more to it than a shopping Mecca, no one can deny this is part of what has made it so famous. You have numerous commercial centers in the area including Downtown, Central Street, Howard Street and Chicago Avenue just to name a few. And any area that offers the world the likes of such notable names as Marlon Brando, Joan and John Cusack and Charlton Heston has to have something going for it. If you are looking for the best in Evanston bathroom remodeling we can get the job done for you. We take great pride in the work we do. A large percent of our business comes from referrals and repeat business so we have to go above and beyond when it comes to customer satisfaction. For all of your kitchen and bathroom remodeling in Evanston you now know the name to trust in. 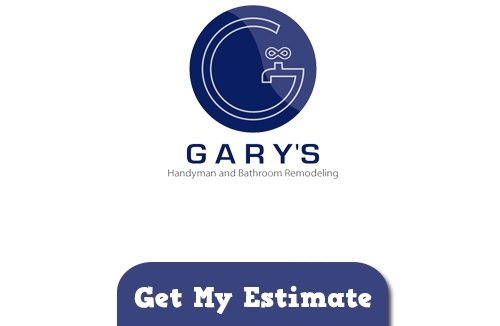 In fact for all of your Evanston handyman services you can count on Gary’s Home and Bathroom Remodeling. Contact us today and let’s get started on your to do list or next big project. If you are looking for a Evanston Handyman and Bathroom Remodeling Company then please call 847-800-4279 or complete our online request form.